A child’s eyes see the love in their parents’ faces and the joy of their siblings. They see the vibrant colors in a box of crayons and the sparkle of rain on a flower. Sight helps kids navigate their classroom, their playground and their world. But what happens when pediatric cancer attacks that precious sense? With retinoblastoma – an eye cancer in children that is usually diagnosed before the age of 3 years old – a kid can lose their vision to the cancer and their long-term health to the harsh treatment. They can even lose their lives. That’s what tumor immunologist Dr. Vanessa Morales-Tirado and her St. Baldrick’s Summer Fellow, Zachary Goldsmith, are working to change. 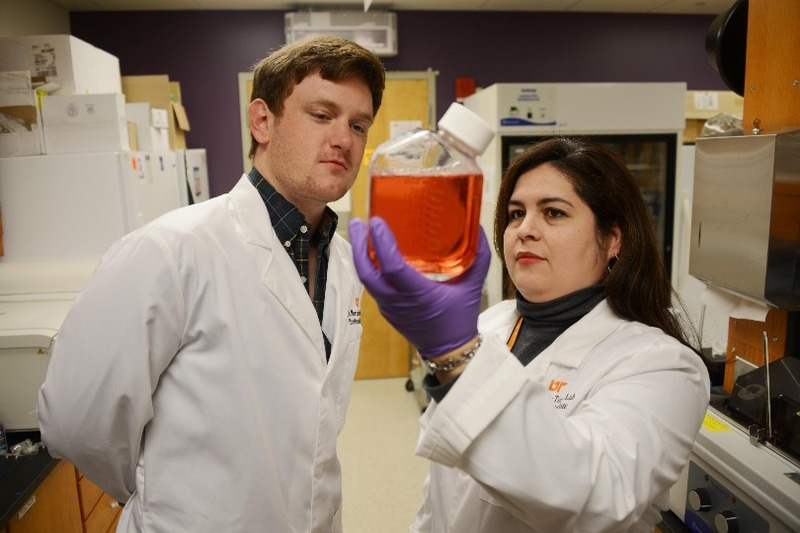 Dr. Vanessa Morales-Tirado, with the University of Tennessee, works with Zachary Goldsmith, a St. Baldrick’s Summer Fellow and PhD candidate, in the lab. Anyone can get cancer — even babies. Dr. Erin Breese, a St. Baldrick’s Fellow studying infant leukemia, explains the signs, symptoms and treatment of babies with cancer, and how research is helping pinpoint better therapies so babies with cancer can grow up to live long, healthy lives. Unfortunately, cancer can occur at any age including during infancy. 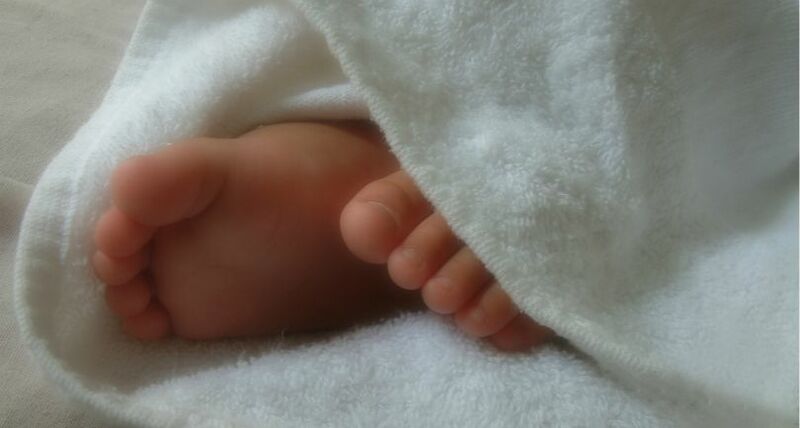 According to recent statistics, roughly 23 of every 100,000 babies are diagnosed with cancer each year. Tacey Raye first battled cancer as a baby, losing her sight in the process. Now, years later, the high school freshman and Texas rodeo queen is facing yet another diagnosis. Help kids like Tacey. Donate today. Tacey Raye fought retinoblastoma soon after she was born and had both eyes removed by the time she was in first grade. Eight years after being declared cancer free, she’s fighting childhood cancer again. 2013 Ambassador Matthias was diagnosed with retinoblastoma, a type of childhood cancer, when he was just 3 months old. The treatment left him permanently blind, but five years later, he’s cancer free and starting kindergarten. His mom, Katie, shares this update. 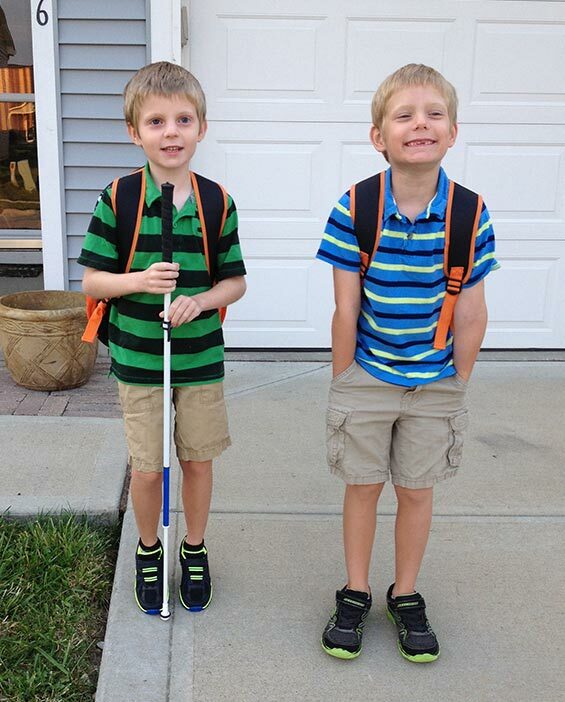 Matthias (left) and his older brother, Magnus, on the first day of school this year. 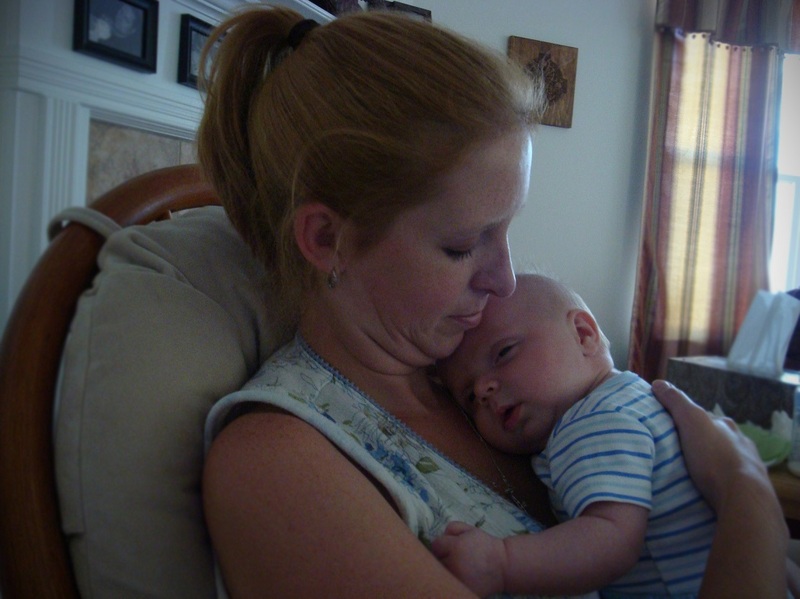 On July 13, 2009, I held our son, Matthias, as he recovered from surgery to remove his right eye. His left eye had been removed two weeks before. This surgery allowed him to be cancer free for the first time in his life, but it left him permanently and irreversibly blind. I lifted him from the recovery room bed as he slept, and the nurses helped me navigate the tangled web of tubes so we could settle into a rocking chair. I rocked and sang softly to him as he awoke for the first time to a new world, one in which he was healthy but completely blind. On August 4, 2014, just five short years later, I hugged Matthias and held his hand as he boarded the bus for kindergarten. I kissed him goodbye and again guided him into a new world. It was almost as terrifying as the day he lost his vision. 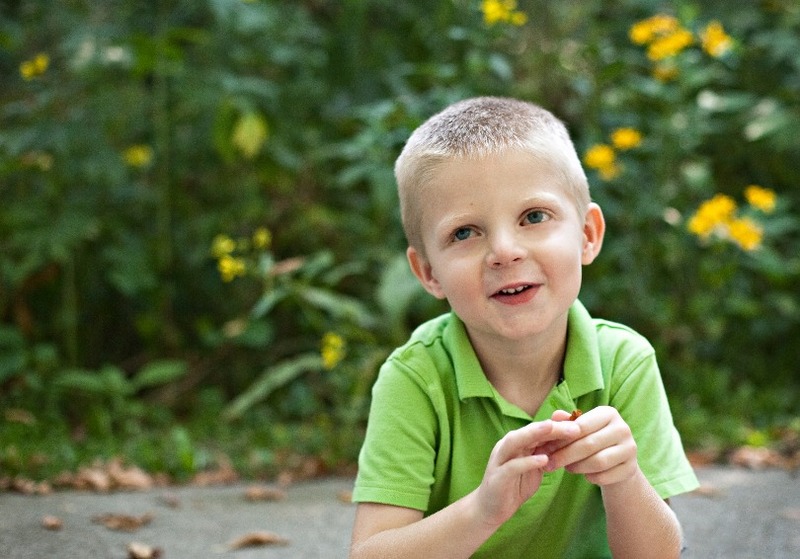 After childhood cancer took Matthias’ sight, Christmas changed forever. Cancer changed us in many ways; sometimes I don’t even recognize our lives anymore. Many of these changes aren’t bad — we have a deeper respect for life, an appreciation of health, and a conscious enjoyment of every moment with loved ones. Some of the changes were difficult, and we’ve accepted them. Even the way we celebrate holidays has changed. I’ve always enjoyed Christmas, and having children makes this time of year even more magical. In 2008, we were excited to celebrate Matthias’ first Christmas, along with Magnus, who was 2 at the time, and just starting to participate in all of the excitement of the season. Matthias was diagnosed with retinoblastoma, a childhood cancer of the eye, when he was an infant. Matthias was diagnosed with cancer when he was just 3 months old, so we had all of the normal challenges of a baby compounded by him being sick. Matthias never took a pacifier. He had a wicked gag reflex, so we had to find other ways to soothe him. Music became his pacifier, and we relied on it heavily. Dr. Rodríguez-Galindo is a member of the St. Baldrick’s Scientific Advisory Committee. His research has been focused on retinoblastoma, bone sarcomas, histiocytic disorders, and rare childhood cancers, and he is currently the Chair of the Rare Tumors Committee at the Children’s Oncology Group (COG). Retinoblastoma is a cancer of the eye that occurs only in children, and typically in very young children. Two-thirds of retinoblastoma patients are diagnosed before they are 2 years old, and more than 90% are diagnosed before the age of 5. 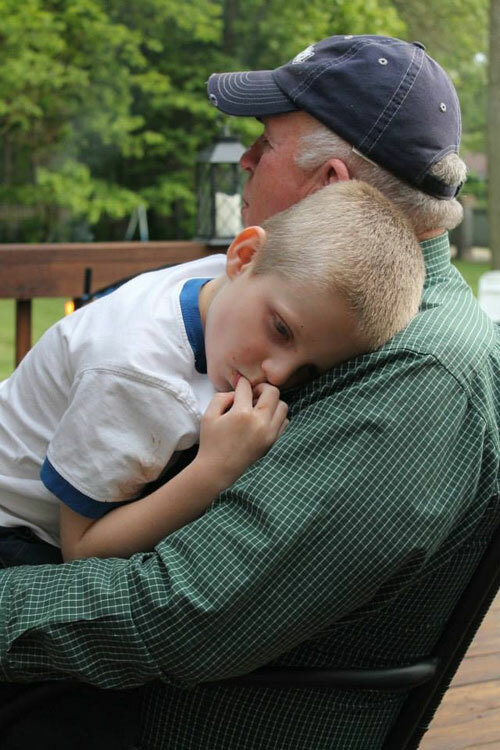 Being a grandparent is one of the greatest joys of my life. I love hearing from our children as they share the joys, trials and even the challenges and difficulties of raising their own children. My wife and I are blessed with 14 beautiful, uniquely wonderful grandchildren. We all like to think that we don’t have favorites, but I would be lying if I didn’t admit that my buddy Matthias has a very special place in my heart. 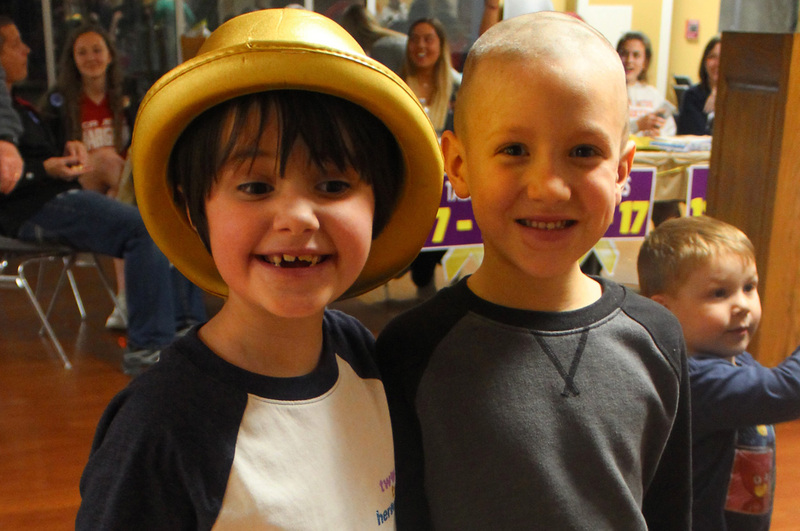 My journey with childhood cancer began with a telephone call almost 5 years ago. The call is indelibly seared into my memories as one of the most distressing moments of my life.